Venue details will be confirmed later on however, we are planning a concert in Berlin Cathedral. 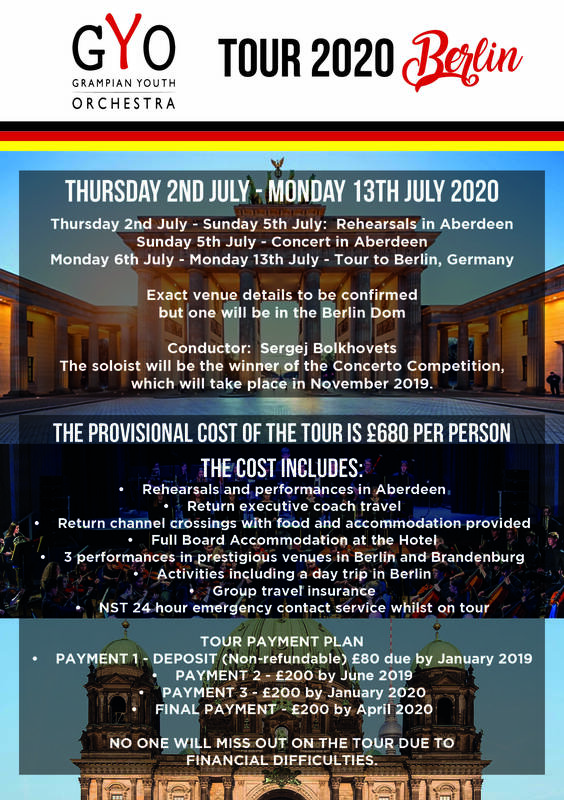 The orchestra will travel by coach and overnight to Amsterdam before continuing onto Berlin. There are 3 concerts planned in Berlin and Brandenburg and we will be staying in a hotel in the centre of the city. We also have other events planned such as a guided tour of the city and a trip to a theme park. The program will be announced nearer the time however, we are pleased to have Sergej Bolkhovets as Conductor. The soloist will be the winner of the Concerto Competition which will take place in November 2019 (more info to come). Please find attached a flyer giving more info on the tour including the cost. If you have any questions, please do not be afraid to get in touch with us. Those who are successful for the 2019 course will automatically be invited to the 2020 Tour.